Are you dealing with winter blahs and depression? I'm sharing 5 tips for dealing with depression at Home Educating Family today. One of my recent discoveries for helping to manage my depression is therapeutic grade Frankincense oil. I actually started using Frankincense for pregnancy aches and pains but have found that it is also quite helpful for depression as wel. Looking for more information about depression and tips for managing depression? Check out my ebook, Finding Joy in Depression. 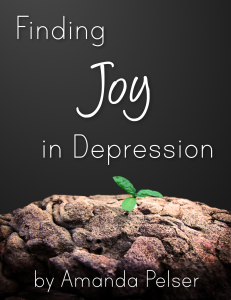 Finding Joy in Depression is available in PDF, Kindle and Nook formats.